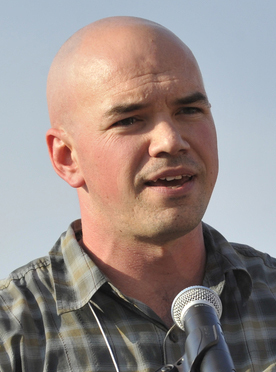 Tim DeChristopher, a member of First Unitarian Church of Salt Lake City, Utah, is the cofounder of Peaceful Uprising. He has been serving a two-year federal prison sentence for interfering with a government oil and gas lease auction in Utah in 2008. Upon his release to a halfway house as this issue was going to press, he will become First Unitarian Church’s director of social justice. Learn more about Tim DeChristopher on UUA.org.